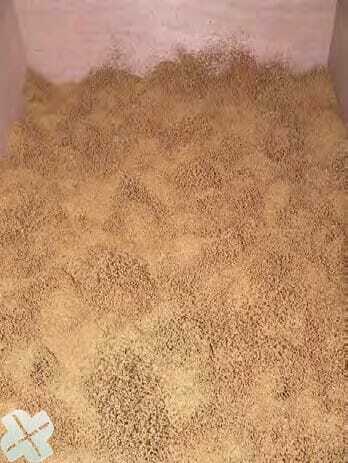 Seeds are treated in wooden drying boxes. Every box can contain about 200 liter of seeds. The box has a lid with a wired screen. The boxes are automatically plunged into the hot water bath. To guarantee that all seeds are in contact with the hot water the whole box is plunged into the hot water bath and would smoothly moved through the hot water bath. The water temperature can be heated by a central boiler system, electrical or we can provide the unit with a local boiler system. The temperature fluctuation is about +/- 0.5 °C. The treating time is controlled by a timer and can be set by the operator. 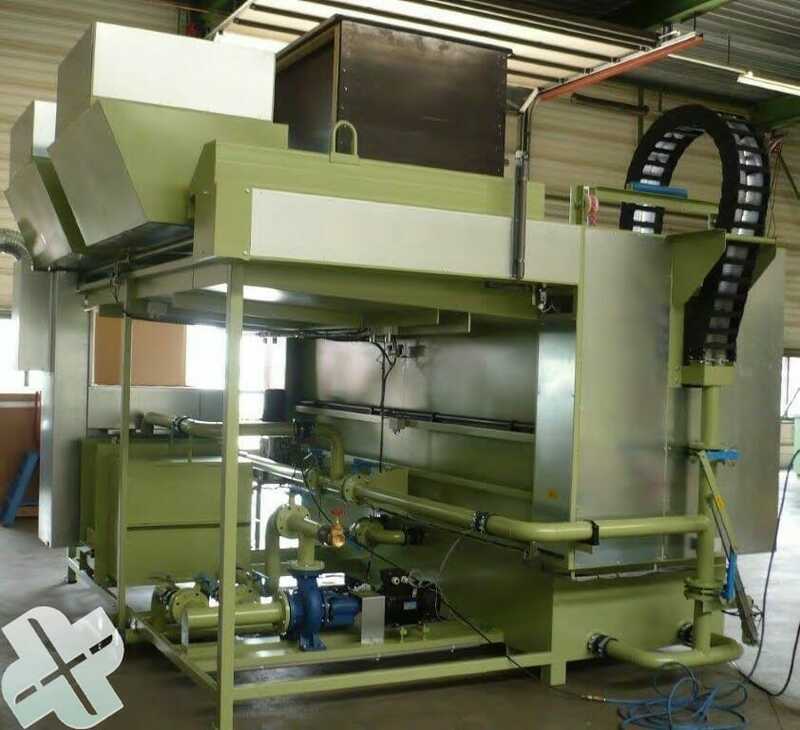 When the treating time is past the box would be take out of the hot water bath and automatically transported to a drying fan. The fan will blow off the clinging water and cool down the seeds. During this process the next box can be placed in the treating unit. 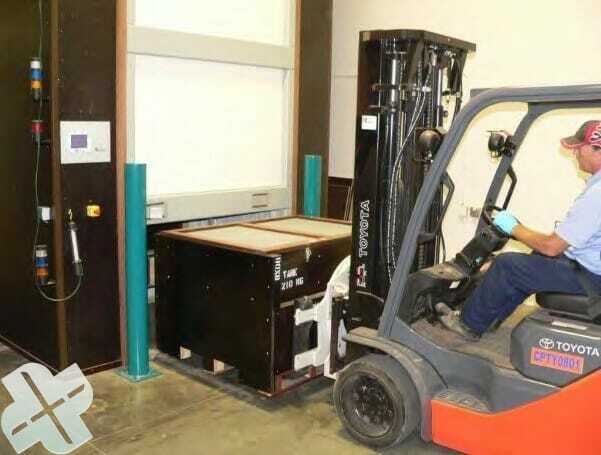 After about 20 minutes the aerated box will be transported to the front of the unit and can be transported by a forklift truck to a drying unit. 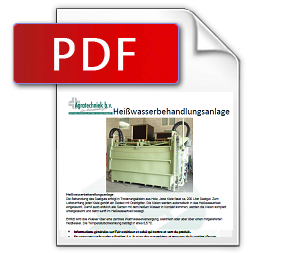 Drying installation for the fluid drying of batches seed in special drying boxes. 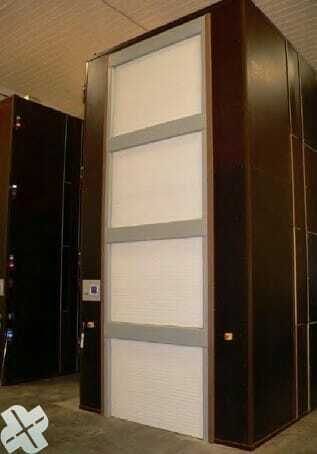 The installation consist out of a dryer section and an absorption dryer. 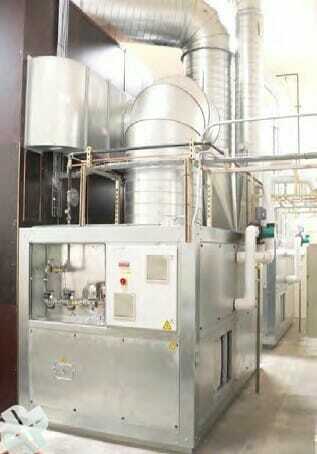 Optional; air-mix units to extract (dry) air from outdoor. The boxes will be placed into the dryer section. Dry air will be pushed through every individual box to make the product fluid and to dry it homogeneous. 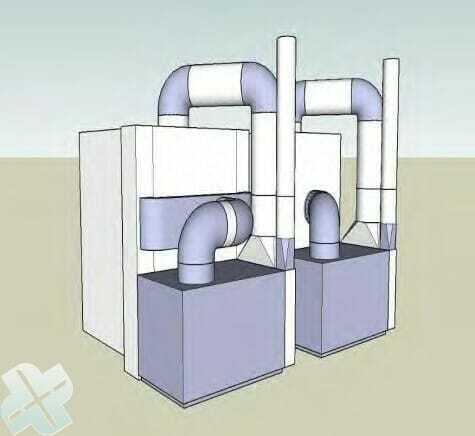 In the closed system the wet air will be extracted by the air dryer or discharged outdoor. Dry air from outdoor and/or air from the absorption dryer return back into the boxes. 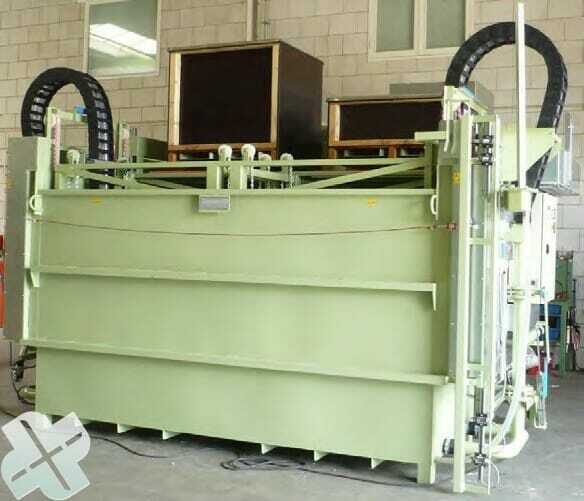 As an option drying with different temperatures for each box separately; start with a high temperature for wet product and at the end with cooling down until ambient temperature. For each drying phase the amount of air will be automatically adjust to avoid damaging of the product and avoid too much dust.